Musings scribbled out as coarsely-woven boredom armor. Bio: I grew up a Navy brat, then enlisted in the U.S. Army Infantry at age 21. I entered as a private, earned selection for and admission into Officer Candidate School, then spent the rest of the time wearing bars. After several years training force-on-force unit combat in the Mojave with the Army's elite mechanized OPFOR, and then the joy of command while at Fort Carson, CO, which included the challenges and rewards of taking a company of soldiers to Iraq and bringing them all home safely, I left the military in search of new experiences. Like many who leave the military, I hit some hiccups trying to figure out how to communicate to civilians that a decade of training soldiers to aggressively close with and kill the enemy was experience that would translate swimmingly into their company culture. Eventually I overcame that communication challenge. That led to several years doing the "corporate thing," pursuing a career that led from retail to IT, following my passions for computers and communications developed as a(n) (unlikely) hobby while a soldier. In the late nineties, I had the good fortune to hire into one of the pioneer companies in the (then new) massively multiplayer online game industry. While there I saw opportunity to start my own company and used all my experiences (and no small amount of learning new skills on the fly!) to build an online payment processing company. My first company, PayByCash, brought local non-credit-card payment methods from around the world to Internet content providers with one very simple integration. After growing for 8 years and earning the trust of the largest game content providers in the world (and most of the smaller ones as well), we merged with a VC-funded Silicon Valley company and were later acquired by Visa. In my on-again-off-again "retirement," as a serial entrepreneur, I develop (and occasionally launch) new ventures. When not torturing myself with the responsibility to nurse my whackadoodle ideas into profitability, I spend the time with my family that I rarely had when running my first (and to date most successful) company. And I write, sporadically and spasmodically. When not writing, I race cars and enjoy improving my skills in the shooting sports. 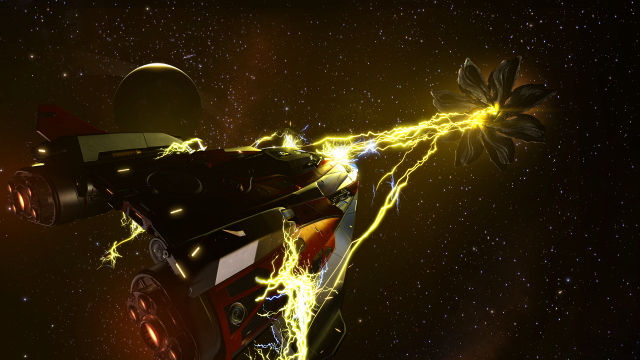 View all posts by Kevin H.
The “Thargoid Threat” is Fake News! Inner Lizard: Finely woven boredom armor.